The WatchGuard XTMv Small Office virtual network security appliances allow virtualization of the traditional gateway firewall and consolidate multiple firewalls to increase efficiency and reduce hardware costs. 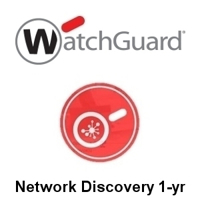 WatchGuard® XTMv is available in four editions to handle the security needs of organizations of all sizes; the XTMv Small Office allows up to 200 concurrent users making it ideal for the smaller business with the same level of protection provided by its larger siblings. The WatchGuard XTMv Small Office next-generation security features include full HTTPS inspection and VoIP support, with optional application control, intrusion prevention, URL filtering and more. Flexible management tools give administrators access to security capabilities from an intuitive console, scriptable CLI, and web UI. Real-time monitoring and rich reporting are included at no additional cost.